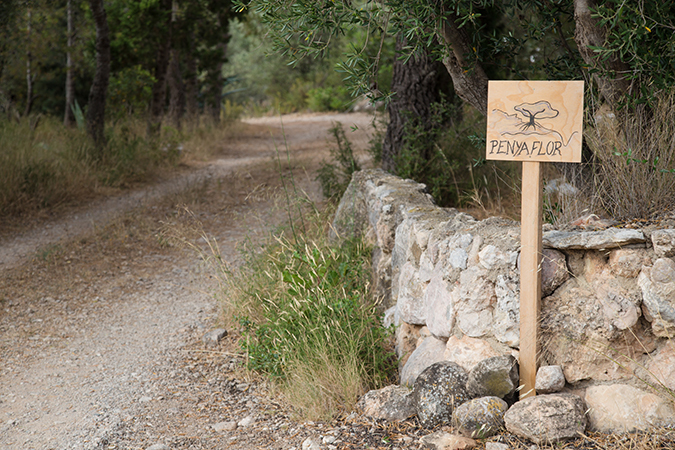 my first experience in this permaculture self-experiment is starting in a small finca named permacultura penyaflor in spain, located near tortosa and 2,5 hours away from barcelona. cecile, a french women, the owner of the permaculture site and main organizer picks me up from the train station to bring me to her 6ha property. after arriving i meet thomas, the partner of cecile, a couple from mexico, who is working on restoration of an old door and a french girl, who is also volunteering. it is quite common that travellers from all over the world help in projects like this and offer their helping hands in exchange for food and shelter. it is called woofing (worker on organic farm) now i am also one. we start to cut vegetables around a small table in the temporary installed kitchen with thomas, and get to know each other. the common language is spani­sh although my vocabulary is still weak, i understand partly. the couple from mexico works in engineering and architecture. they focus on alternative construc­tion and are here to build a little shelter for the wa­ter pump next to the house. with low wages in their home country, they assist various projects while travelling in order to both gain experience in there respective fields and cut costs of travel. their next destination is ghana, where they will help to build a library in a school. after preparing and cooking the meal, we go outside to eat under the shadow of pine trees and talk about food prices in different locations and things connected to each of our countries and cultures. af­ter lunch cecile, lucile and i drive by car, with many glass bottles and canisters to the mountains in or­der to collect drinking water. unlike many european households, there is no tap water in pe­nyaflor, that would be clean enough to drink. the cooking and drinking water is collected every week from a natural spring that flows from the mountains. the taste of this fresh cold water is so much better than the chlorinated water of the city. this water is loaded with essential minerals that nourish the body. while the girls fill up the bottles, i hike a bit up the path to see the amazing view over the delta that expands to the sea. my contact with this place surrounded by huge mountains is quite surreal. after living in a big city, like barcelona for a few month, it feels weird to be outside experiencing wild nature. i need to adjust a bit and get used to the sounds, dust and heat of the afternoon sun. 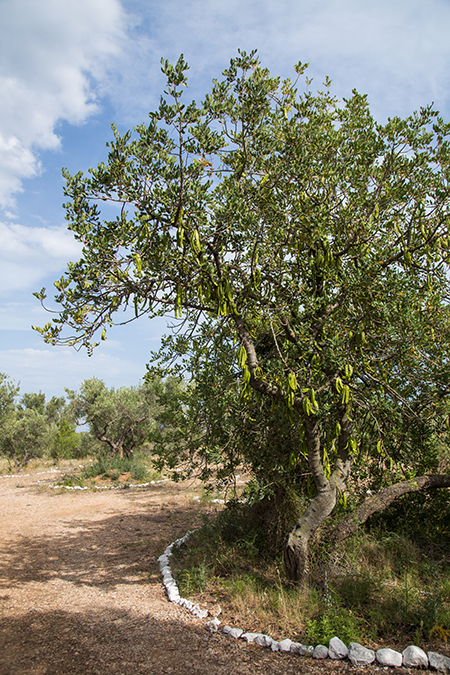 the area is full of olive trees and fo­rest and it is really dry everywhere. the river does not host water anymore, they say it has not rained here for the last 8 months. 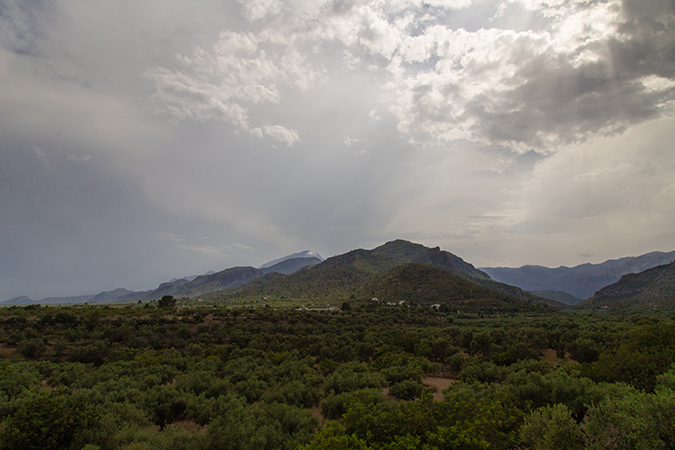 while driving back, cecile is tal­king about the rules to get a permit, if you want to be a farmer or have a tourism business in spain. she presented a project, but this process of paperwork can take up to 5 years. she does not agree on the strict rules of the common agricultural policy therefore, she might not get any grant. the principles of permaculture that she has in mind, are not in line with the european agriculture policies, but she is not willing to change her way of taking care of her land, and would rather go without the money. cecile is a very calm person, who knows what she wants. she is 34 years old and bought this land next to a river with money that she borrowed from her fa­mily. 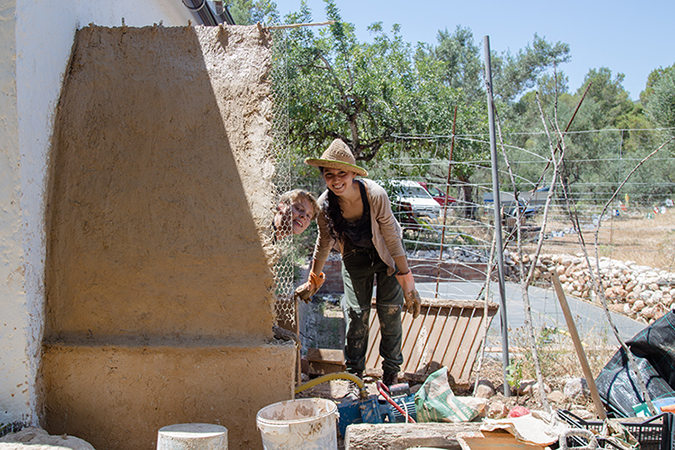 for one year she has been renovating this pro­perty under permaculture principles. while i visit the finca, i noticed that her life during this year happens in 2 rooms and a vast outdoor space. the bedroom, office and kitchen are compressed in one. the other room is a guest bedroom, storage and workshop. outside of the main house there is a shed where the bathroom, dish was­hing area and compost toilets are installed. every day, step by step, she works on the progress of her dream house. most of the material used, comes from nature or is recycled and chosen wisely, without chemicals or environmental harmful toxins. 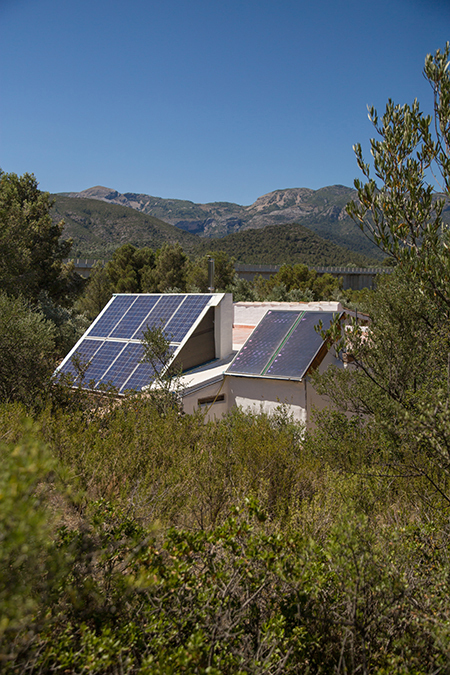 the roof of the house hosts a 34kw solar panel installation and a sun collec­tor provides 300l of hot water to shower and wash the dishes in a storage tank. the water is pumped up from a channel that comes from the river. the whole building is completely self-sufficient. in addition, there is the possibility of growing their own food, producing their own olive oil, and compost their own waste to fertilize the plants. 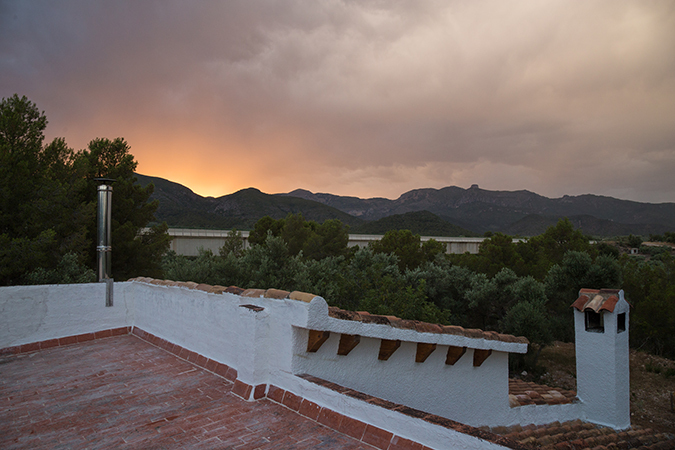 before she bought this piece of land, cecile volunteered for two years around the wider province of catalonia and mallor­ca. 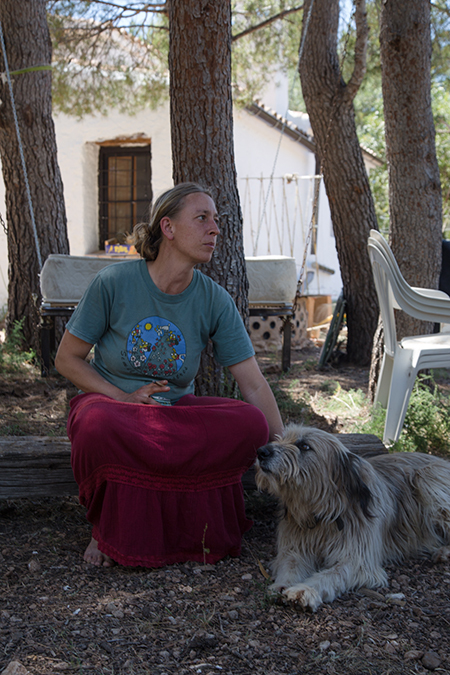 everything she learned on her woofing exchanges and from a cdp (certificate of design on permaculture), she combined now on her site in order to live sus­tainably from the land, long in the future. 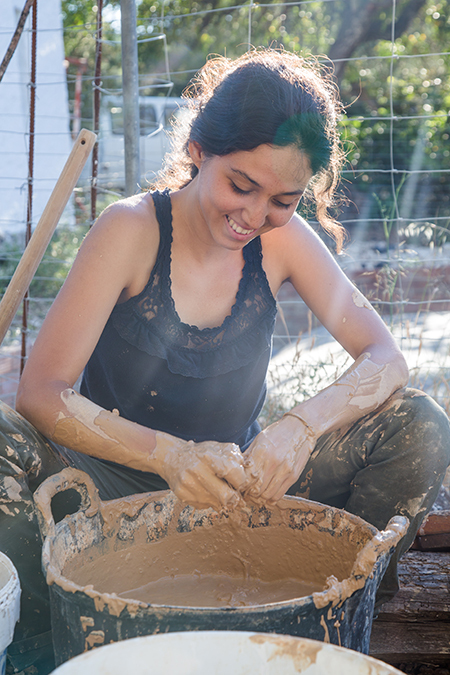 her goal is to create a place where permaculture can be lived, shared and spread. her future vision includes several small houses and rooms for low-earth impact tourism and a classroom to give courses and host events. it is im­portant for her to share her vision and influence the people that come along. 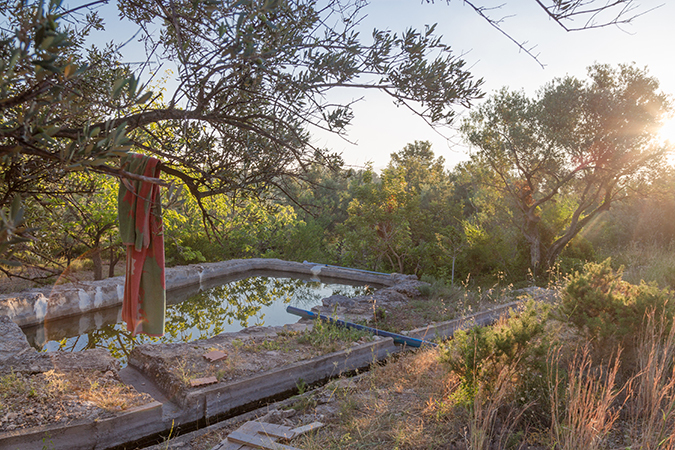 the first day is over and i am lying in my tent, under­neath a carob tree listening to the sounds of frogs in the pond, distant dog barks and the chirping crickets. the moon is shining bright and there is a vast amount of stars. i feel as though i can really absorb all this energy i am receiving from nature and begin to slow down myself; acclimate to the rhythm of nature. the next two days are dedicated to prepare a little festival. i am painting signs making trash bins. the little house for the water pump is growing. 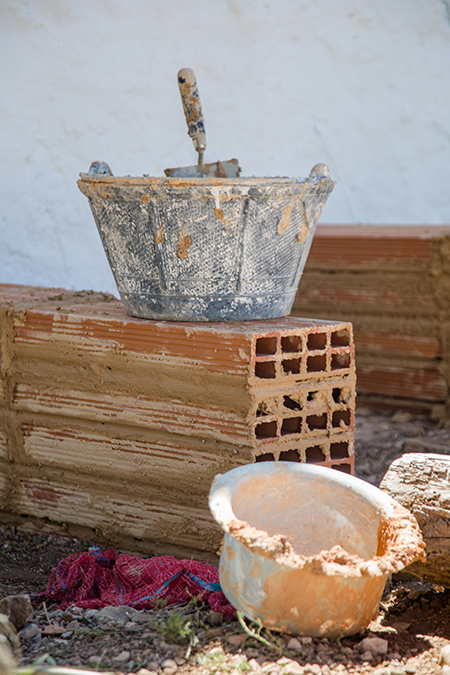 for the outs­ide of the construction they mix straw with clay and lime to make it more stable. i help to add layers of mud. the base of the roof is built with common reed (phragmites australis), which grows on the property and a metal fence. on the afternoon of the festival, some more friends of cecile come to assist in the preparation. lucile and i prepare food for around 40 people. everyone is en­joying himself talking and drinking. i find timing to be quite difficult here. if dinner is scheduled to be half past 9, it will be eleven before it is set out. if they say, they wake up to prepare breakfast at 8.30, it will be actually be 10. something my german mind is not used to. especially when i am hungry. after dinner there is a spiritual ritual at the bonfire accompanied with rhythmical drumming and percussion. 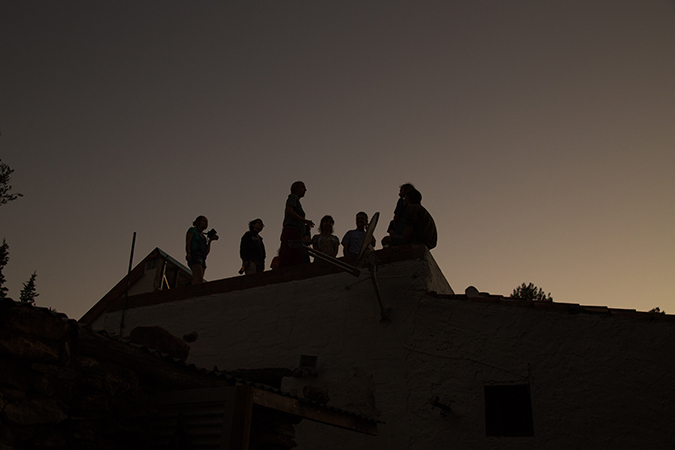 later on, some friends make music and a long night of dancing ends with the first rays of dawn. 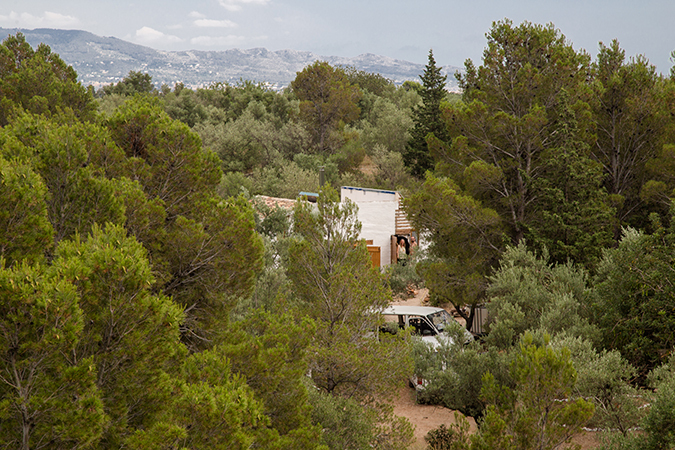 there are several courses on permaculture, yoga and non violent communication the next day. it is a great combination of studying something new, being in nature and getting to know new people. 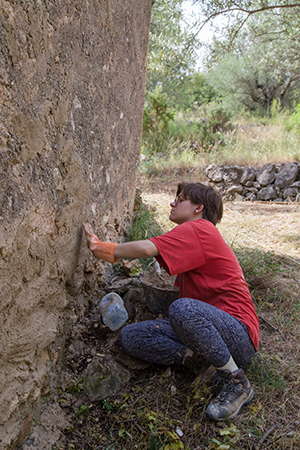 after the festival ends, the following days are filled with cleaning up and working with natural building. the cactus plants that grow around the property are taken and cut in to small pieces. they are macerated in water and make a slimy juice that is the base for wall colour; mixed with milk powder, maizena, salt, line seeds oil it will protect the walls from dust in the new kitchen. i help to put tiles on the wall and do lots of little tasks. for the first time, i am working on constructing indoor and outdoor of a house. this really connects to the place you live in once you build it up with your own hands. there is painstaking energy and brain work to create it just the way you want. the idea of permaculture is: to grow the place you are living into a source that provides you shelter, food and a relationship to mother earth without exploiting her. and cut down wood and reeds. it feels like we are in a vietnamese jungle here. cutting down the old branches and cleaning the riverbed from plastic is the sweat-inducing job for the next two hours. taking care of the environment is such a pleasant task. with some good reeds for construction we return to the finca. i feel very connected to the ground in which i am without asking for what comes next, i am enjoying being here. my time comes to an end, after 10 days i have to say goodbye. the mexican couple has already departed and a new couple just arrived. cecile works on her project everyday except weekends, not really to a strict scheduled, but quite flexible depending on tasks to do with one to four volun­teers. 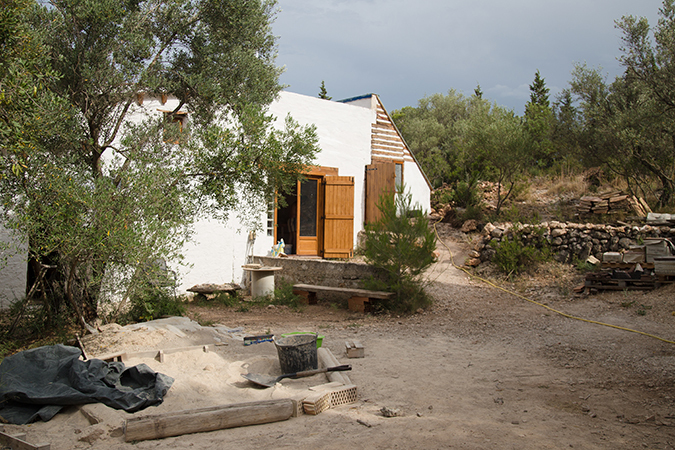 she exchanges her knowledge and spreads the principles of permaculture through her words and ac­tions on her property. i like the way she focuses on this project. she is very determined, but takes time as needed so as not to be stressed. the work in a low earth impact project like this will obviously never end and everything needs its own time to develop. conti­nuously implementing and adjusting the project is a lifestyle and not a job. one has to choose to make decisions based on the potential of nature, being in harmony with the environment and respecting that nature sets up the rules. life in penyaflor is very relaxed and nature is really healing here. 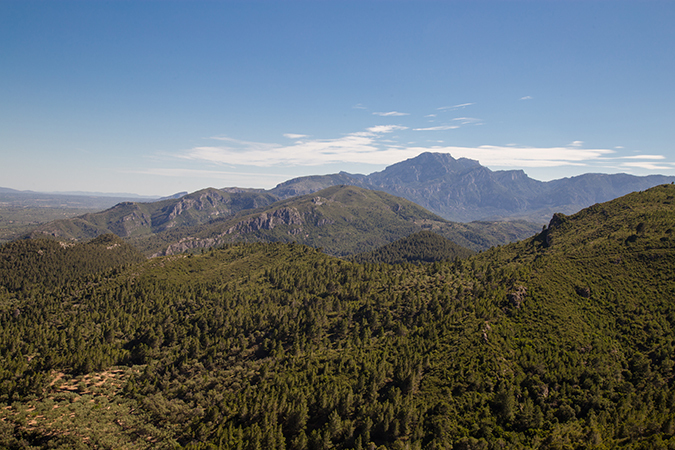 you can feel the strength of the mountains and the heat of the midday sun that slows down the working process after lunch. 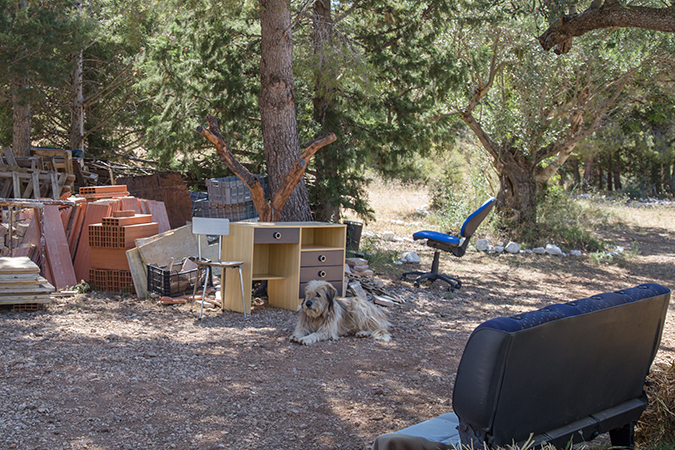 living here might be ba­sic and slow, but it is not primitive living. it is forward thinking, progressive model, that puts sustainability and land based living with low impact at the fore­front. everyone is happily welcome to join and give his impact and helping hand; to continue sharing the stories, knowledge and creating a common experien­ce for the best. if you want to find out more about the project check out their facebook page! feel free to leave a comment if you have further questions or opinions.